80s & 90s | Wedding Wisdom, Etc. 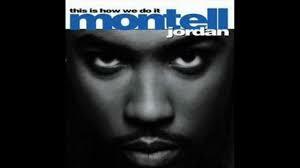 Montell Jordan’s “This Is How We Do It” is one of the most successful party/dance songs ever written. Released in 1995, the song was a monster hit for Rick Rubin’s Def Jam Records and Montell Jordan, spending seven consecutive weeks on the Billboard Top 100 Chart and ultimately winning Jordan a Grammy for Best Male R & B Performance. The beauty of the song is in its simplicity. There are two elements that make it so much fun for crowds to dance to. First, there’s the six-syllable a cappella introduction of the title of the song…which endlessly repeats itself over and over, making it easy and fun for your guests to sing along with. Someone at Def Jam also had the musical foresight to have the repetitive phrase being sung in simple unison, by what sounds like a random bunch of guys at a party, making it easy for those of us with less than great voices to sing along with. The second element is the immediately distinctive bass line that starts immediately after the a cappella opening and continues unchanged throughout the whole song. That concept is very similar to Backstreet’s “No Diggity” which I wrote about last week. The use of that repetitive 9-note bass line holds the structure of song together, regardless of a less-than-memorable melody line, or lyrics. The combination of being able to sing along to the six word title, and being able to dance to the equally distinctive nine-note bass line, make this incredibly funky groove a truly inclusive song to enjoy, regardless of whether or not you’ve ever been anywhere near “South Central”. This is an undeniably great party song that works every time. Give it a listen and let me know what you think. The band Atlanta-based TLC is actually the best-selling “girl group” in American Pop history. According to Wikipedia, they had ten number one singles, and four multi-Platinum albums throughout the 1990s and early 2000s. The band is comprised of the three vocalists seen in video, including Rozonda “Chilli” Thomas, Tionne “T-Boz” Watkins, Lisa “Left Eye” Lopes. Lopes died in a car crash in 2007. 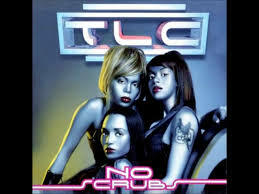 TLC is actually an anagram for “T-Boz,” “Left Eye” & “Chilli,” My favorite of their songs is “Waterfalls,” but “No Scrubs” has a unique almost Flamenco style guitar riff running throughout. The lyrics are not very deep, and are a tad repetitive, but it really does have a nice mellow dance groove, and is very evocative of the most popular R & B music made two decades ago. Leave a comment to let me know your thoughts or opinions. Aside from one of them marrying David Beckham, here’s what I know about The Spice Girls. But the song “Wannabe “always grabbed my attention as a truly fun song. Now twenty years later, I have the same reaction to it. And it seems as if I’m not the only one. We play this at every wedding, and it seems every woman in the room knows every lyric, as if it were a contemporary hit. 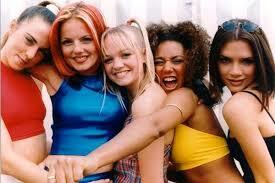 The Spice Girls were formed in 1994. Their first album sold a whopping 30 million copies. They (or a really smart publicist) invented the term “Girl Power” which became a worldwide phenomenon. By the time they broke up they had sold over 80 million albums, more than any other “girl group” in history. But this song always just struck me as really fun. It’s fun to play as well as it’s fun to see people dancing to it, singing along with the ladies. Like so many other “purely pop” songs this one makes no attempt at making sense. It’s sole purpose is to get people dancing, which is why I love it. Here is the chorus and one verse, so you can get some idea of the depths of the lyrics. I’m not sure of the significance of “really wanna zigazig ah” is, but it really is a great dance to. “Whatta Man” by Salt ‘n Pepa has always been one of my favorite rap songs. In Chris Rock’s movie “Top Five” the Top 5 of the title has to do with people’s list of the Top 5 rappers of all time. Rosario Dawson’s character mentions Salt ‘n Pepa as one of her Top 5. My man is smooth like Barry (White), and his voice got bass. A body like Arnold with a Denzel face. Leave a comment to let me know how you feel about my girls. Cyndi Lauper’s “Girls Just Wanna Have Fun” is a perennial classic. It’s one of those rare can’t-miss songs for getting people up to dance and sing along with the song. 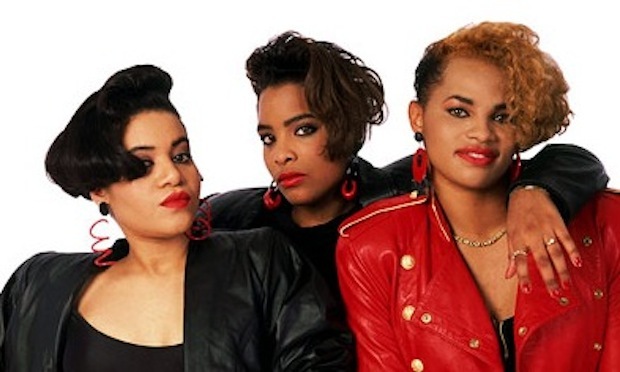 Released in 1983, it became an instant hit, and a “girl power” anthem. As someone who has worked with Lauper on several occasions, I can tell you that she has a terrific voice, but her appeal on this early 80s hit is pure kitsch. Her clothes, her make-up, her ever-changing permed-out hair color, her entire persona — including her voice — had a refreshingly quirky edge to it. By no coincidence the album in which this song appears is called “She’s So Unusual.” It is also her first solo album, and includes Lauper’s most adored and enduring song, “Time After Time.” Whereas “Time After Time” is a thought-provoking, important piece of pop culture, “Girls Just Wanna Have Fun.” is simply a fun, bouncy, extremely danceable musical cupcake of a song.with no apparent reason to have become one of the most popular songs to come out of the 1980s. Thirty-three years after its release, Cyndi Lauper’s off-beat appeal has remained as compelling now as it was in 1983. When the working day is done. Ya see? It’s so bouncy, playful and like the star who sings it, irresistibly quirky. Fun Fact: Ms. Lauper’s funky, offbeat style so deeply impressed producing legend Quincy Jones, he gave her a solo in “We Are The World,” a legendary all-star benefit performance for the charity “USA for Africa” in 1985. Even with the brilliant talent of co-soloists Michael Jackson, Lionel Ritchie, Diana Ross, Bob Dylan, Bruce Springsteen and a whole slew of other A-list performers, Cyndi Lauper completely stole the show by improvising her entrance starting with an amazing gospel-tinged “Well, well, well….” If you’ve never seen it….you’ve got to find it on YouTube. She’s terrific. Not being a rap aficionado, I can only guess that the sexually-tinged lyrics were their female response to the often misogynistic lyrics of early male rap groups. Other “Girl Groups” that emerged out of the same period were TLC, En Vogue, The Spice Girls, and Destiny’s Child, whose lead singer, Beyonce Knowles, went solo, dropped her last name…and the rest is history. 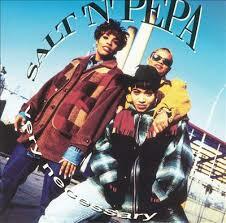 But, back to Salt-N-Pepa. Here are some of “Shoop’s” lyrics. The song is a must dance/guaranteed crowd-pleaser that every woman in the room will magically know the words to. *Special thanks to one of my favorite brides, Maggie, who reintroduced me to the song last May. Virtually every song Michael Jackson ever sang became an instant hit, especially the dance tunes. His voice is so recognizable, that guest hearing any one of dozens of his songs, will instantly be able to sing along with the band. The combination of Michael’s voice and Quincy Jones’ brilliant arranging and producing was a magical pairing. 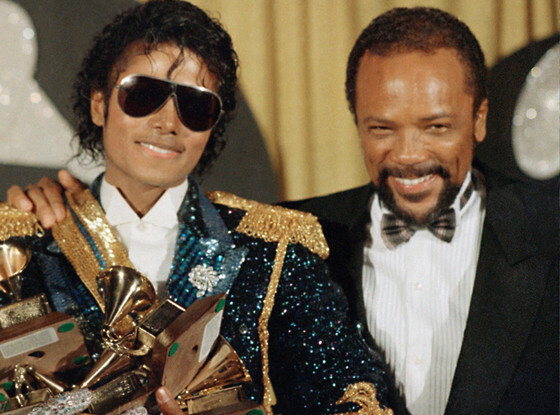 The two made three iconic recordings together, including Off The Wall, Thriller and Bad. Lyrics are rarely important in “dance” songs, and Rock With You is no exception. Share that beat of love. The lyrics are pleasant, but I hardly poetic. “MJ” and “Q” shared such a unique musical passion that Michael could’ve sung the phonebook and made it sound amazing. Crystal Waters’ 1994 100% Pure Love is a tried-and-true certified dance hit. The song establishes its strong dance beat from the very first note…using the unique combination of a lone cowbell and syncopated synthesizer patch. Those initial four bars are then joined by the kick drum for the second four bars…ending with a “stop-time hit” right before the first lyrics come in. My personal favorite part of the song is the “stop-time” a cappella vocal section right when you think the song is becoming too repetitive. Here are the lyrics to the first verse and the chorus, followed by the “stop-time” section. Enjoy! I’ll be your answer, I’ll be your wish. I’ll be your fantasy, your favorite dish. I’m gonna be there til the end, 100% pure love (2xs). Fun Fact #1: Crystal Waters‘ great aunt was the amazing early 20th century African American vocalist, Ethel Waters, who was breaking new racial ground along with other iconic singers Bessie Smith, Lena Horne and Josephine Baker. Fun Fact #2: Listen carefully to the bass. It contains a grand total of four ascending notes from the beginning to the end. #Simplicity. “You Make My Dreams Come True” is pretty much the 1980s Philadelphia-based band Hall & Oates’s most recognizable hit. I couldn’t resist putting the scene from the Joseph Gordon-Levitt movie “500 Days Of Summer” on this post, because they use “You Make My Dreams Come True” to represent the lead character’s ultimate “feel good” song. I’ve always loved the funky piano intro that sounds almost off-beat until the down-beat lands right as the vocals come in. Actually, it’s precisely that piano introduction that makes the song feel so familiar. It’s such a great 80s-90s dance tune. Trust me, the dance floor will be packed by the time the first verse begins. When the upbeat lyrics start, that first verse has that same kind of “jangly” feel, with the syllables of those lyrics not really arriving precisely when and where you would expect them. It was unique in 1980, and is just as fresh today…to which the hit 2009 movie will attest. Their style became known as “blue-eyed soul” because their songs were so strongly influenced by more traditional “soul” music. Some of their other most popular songs include “Sara Smile,” “Man Eater,” and “Rich Girl.” Hall lives up in the Hudson Valley, two hours north of NYC, and I’m not sure where Oates resides, but their hybrid rock-soul imprint seems to stay with me (at least) forever. 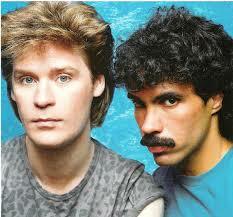 Daryl Hall’s the one on the left, John Oates is on the right. Their success has been celebrated by being inducted in to the “Songwriters Hall of Fame” in 2003, and the “Rock and Roll Hall of Fame” in 2014.